Guide: bulk ball pen & keyring prices. Price includes engraving on one position and delivery. VAT extra. 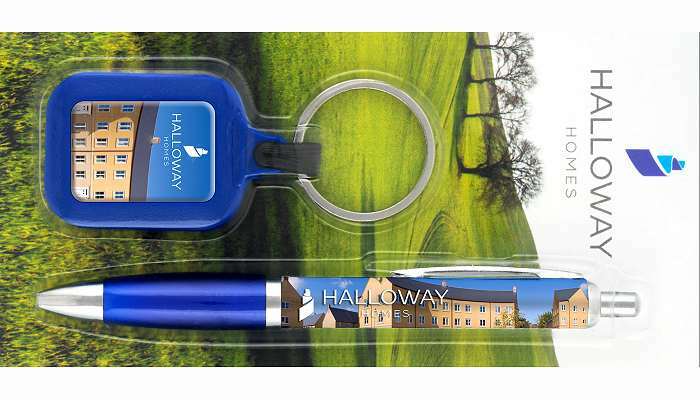 A full colour printed blister pack with comprising a Contour Wrap full colour Ballpen plus a dome decal full colour printed keyring. The print areas on the card which are not interupted by the product are called safe print areas. The whole card can be full-colour printed front and back. 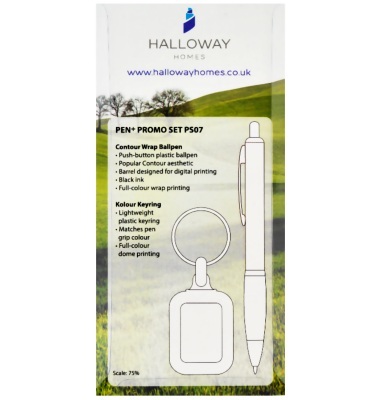 For printing the safe area only the origination is £60. To extend to full area print the origination is £70.